The considerable influence of the geological structure on groundwater flow regime is exhibited in the thick carbonate aquifer beneath the Judean desert, Israel. Groundwater flow is diverted from the general steep hydraulic gradient, creating a subsurface "river-like" meandering flow pattern (Fig. 1). The structure of the extensive-folded anticlinorium forces groundwater flow through synclinal axes in the upper aquifer and in places it overflows from one to an adjacent syncline. 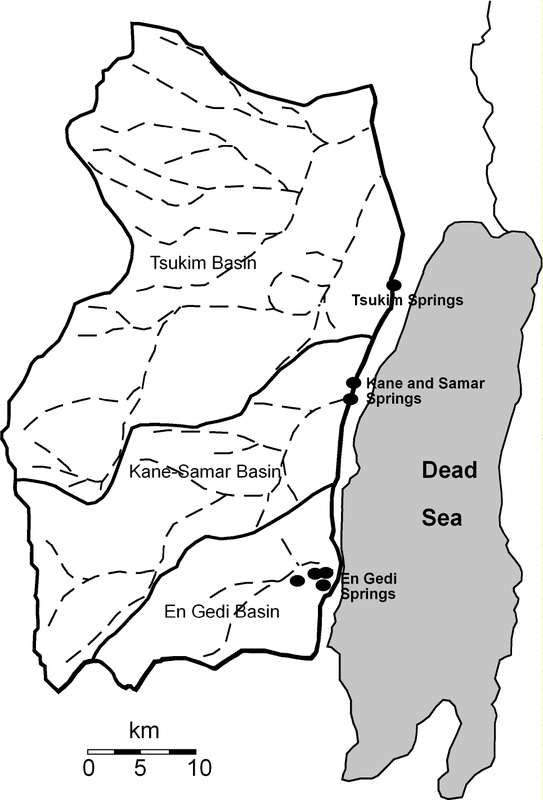 Groundwater outflows are at Tsukim, Kane, Samar and En-Gedi springs near the Dead Sea shore (Fig. 2) and by sub-surface flow across the Graben faults towards the Dead Sea. 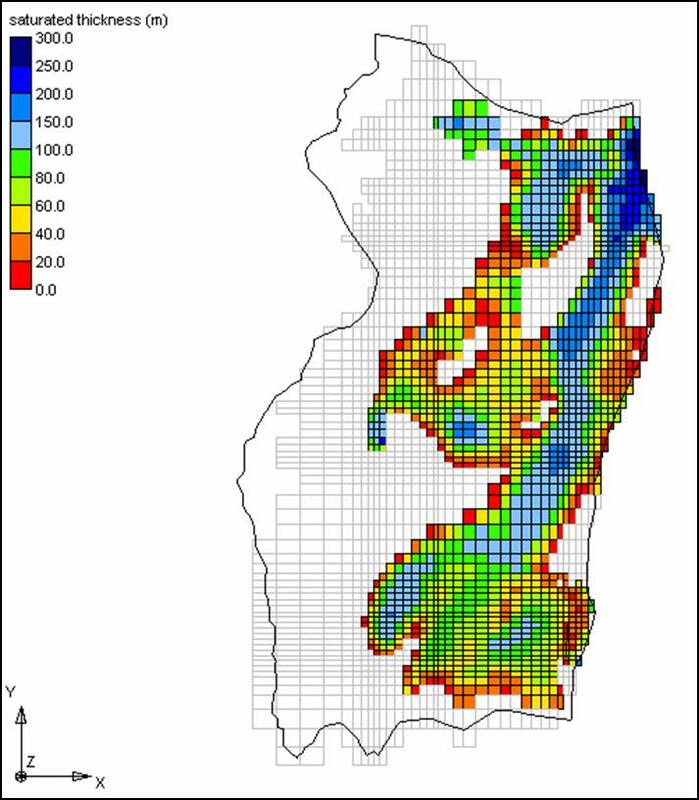 In this study all available data are integrated and processed, first ever, to form a complete representation of the 3-dimensional hydrostratigraphy and hydrogeology. 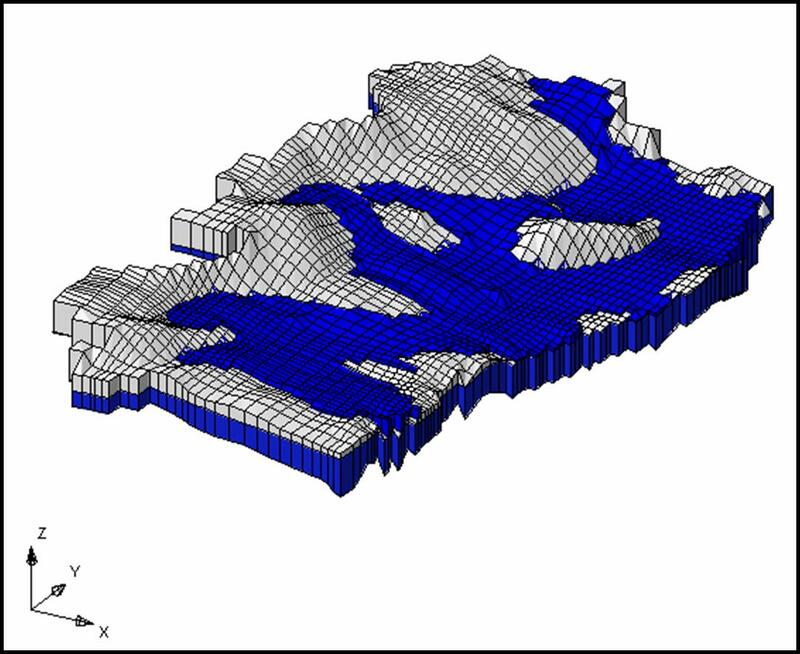 Using numerical modeling (MODFLOW), we analyzed quantitatively the flow regime, leakage rates between upper and lower sub-aquifers and between adjacent sub-basins, the groundwater mass balance, and aquifer hydraulic properties. This study has practical implications regarding recent groundwater management, future possibilities of groundwater development (Fig. 3) for the benefit of both Israelis and Palestinians residing in the area, and conservation of nature reserves located along the Dead Sea.